Ntseuoa Motsieloa’s story began in the small rural village of Ha Khanyetsi located at the foot of the Maluti Mountains in Maseru, Lesotho. His early life in these modest surroundings saw him attending St Benedict’s Primary School in the mornings, and afternoons herding his father’s cattle. At nine years old, inspired by games his older brothers brought back with them from a school trip to the Katse Dam in June 1993 when the Lesotho Highlands Water Project was in the early stages of its construction, Ntseuoa could be found playing at water supply scheme games, building water tunnels using clay and plastic tubes, and constructing mini bridges with timber. In his final year of high school, he discovered the United Nations Library in Maseru, and Saturdays would be spent reading about wondrous bridges, dams and skyscrapers. In this library the seed was planted to pursue civil engineering. One day, during his many readings, he came across the story of the astronomer, Dr Thebe Medupe, and his rise to success from poverty, which decided for him that if others could do it so could he. He settled for himself that his love for structures would become the means by which to build a better life for himself and for others. 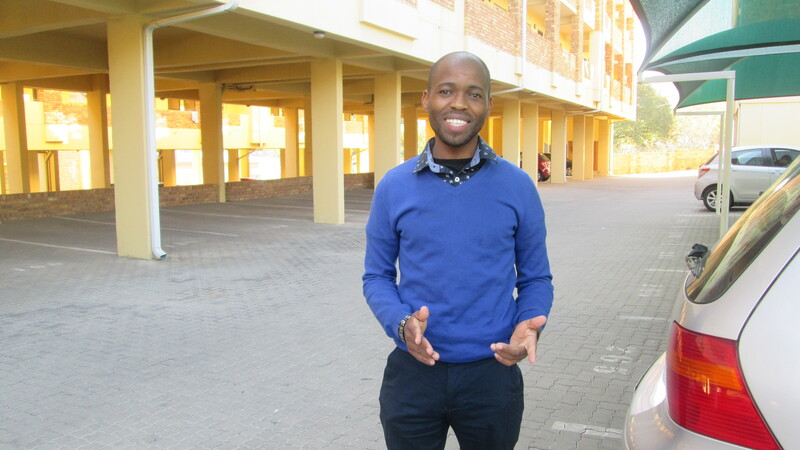 Aiming every day to do better than he had the day before, he graduated top of his class in 2002 and set his sights on attending the University of Cape Town (UCT), just as Dr Medupe had done before him. However, his O-Level school-leaving certificate was insufficient for direct entrance into UCT, but far from being discouraged, after being granted a Lesotho Government Scholarship, he enrolled for a BSc degree in physics and computer science (no degree in civil engineering was offered in Lesotho at the time) at the National University of Lesotho. After completing his first year, also obtaining top marks, he applied to study civil engineering at UCT and was accepted for the 2005 academic year. His undergraduate years were not without their challenges, though, and he added a year to his degree, continuing to work hard and in the process developing resilience and perseverance. In 2009 he obtained first-class for his thesis and it was rated the second best in the cement and concrete materials category. Wanting to continue his education to Master’s level, in 2010 the Concrete and Cement Institute (now The Concrete Institute), in collaboration with the Concrete Materials and Structural Integrity Research Unit (CoMSIRU) at the University of Cape Town awarded him a scholarship for a Master’s degree in concrete materials and structural engineering, which he completed in 2012. His research – Acid resistance of sewer-pipe concrete, carried out under Professor Mark Alexander – saw him invited to present this globally relevant data in May 2014 at the International Conference on Calcium Aluminate Cements in France. This research produced important findings on the resistance of sewer pipe concrete to acid, and he hopes that his findings will make a valuable contribution to the development of acid-resistant sewer pipes. His website will also showcase stories of emerging leaders from six African countries, which he hopes will inspire others to defy the status quo and make Africa a better place through the work they do. Ntseuoa currently works as a structural engineer at Bicacon (Pty) Ltd.